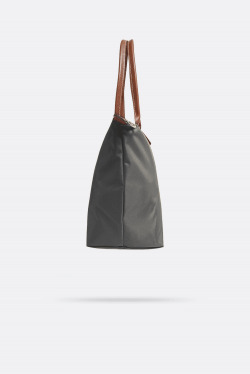 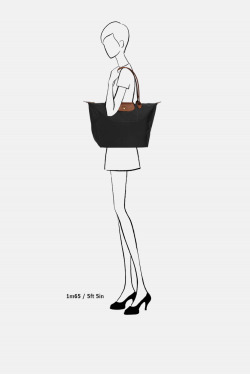 This tote bag captivates you with its minimalist silhouette and ample volume which can easily hold all of your documents or a laptop. 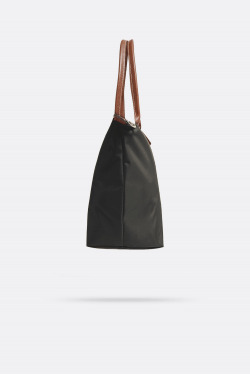 Its long handles allow you to wear it comfortably on your shoulder, while its zipper closure ensures the safety of all of your belongings. 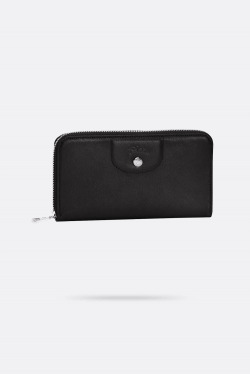 It can even be folded into the size of a paperback book. 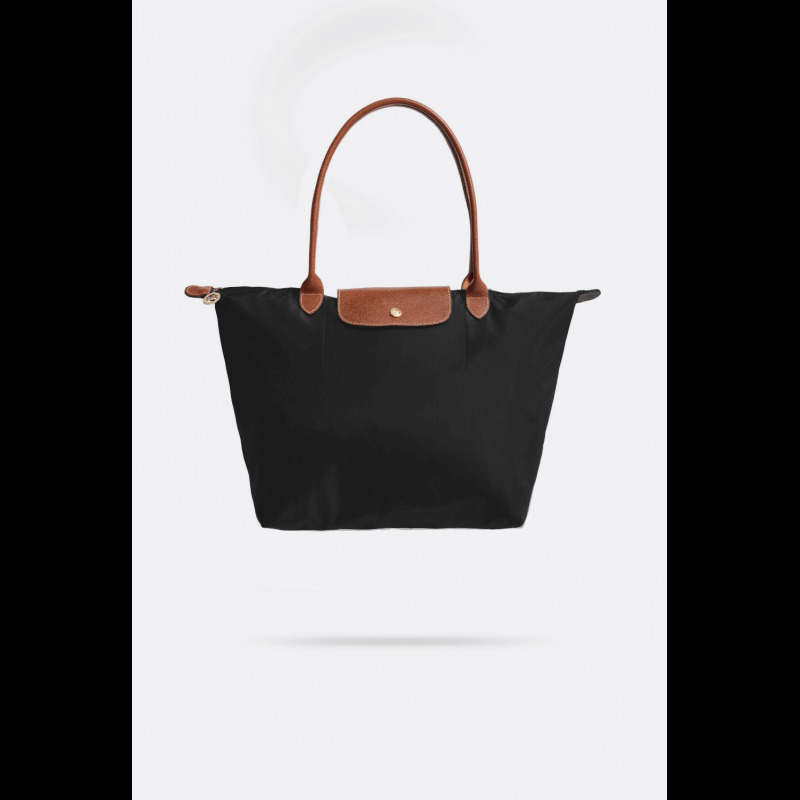 Longchamp drew its inspiration from origami when creating Le Pliage, a light, foldaway bag that has since become a cult object worldwide. 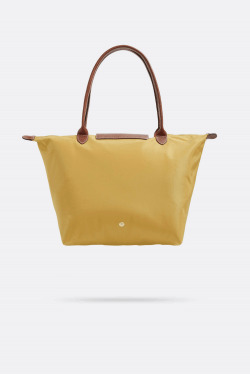 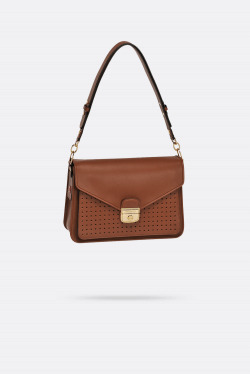 The Le Pliage line comes in a multitude of shapes and sizes, and in a dozen or so colors each season. Ideal for everyday use, Le Pliage is light as a feather, folds away to the size of a paperback, and is durable enough to keep all your essentials close at hand. 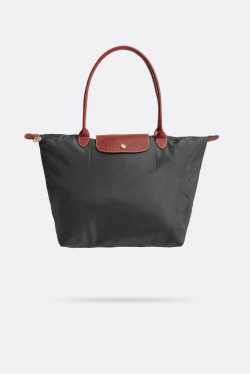 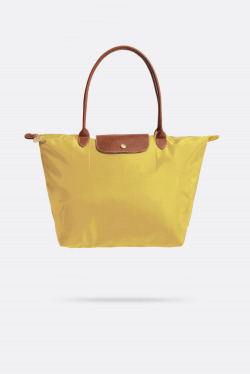 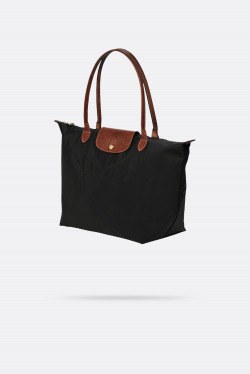 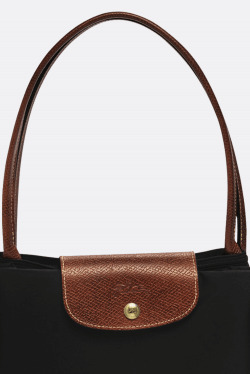 To maintain your product, apply Longchamp colorless cream regularly with a soft brush to leather areas. 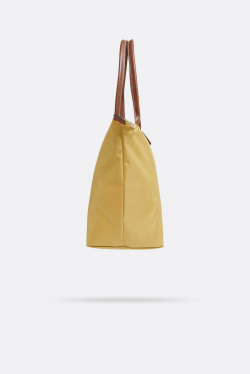 To remove dirt, clean the whole fabric using a cloth or a soft brush, with water and neutral soap (avoid wetting leather parts when cleaning).